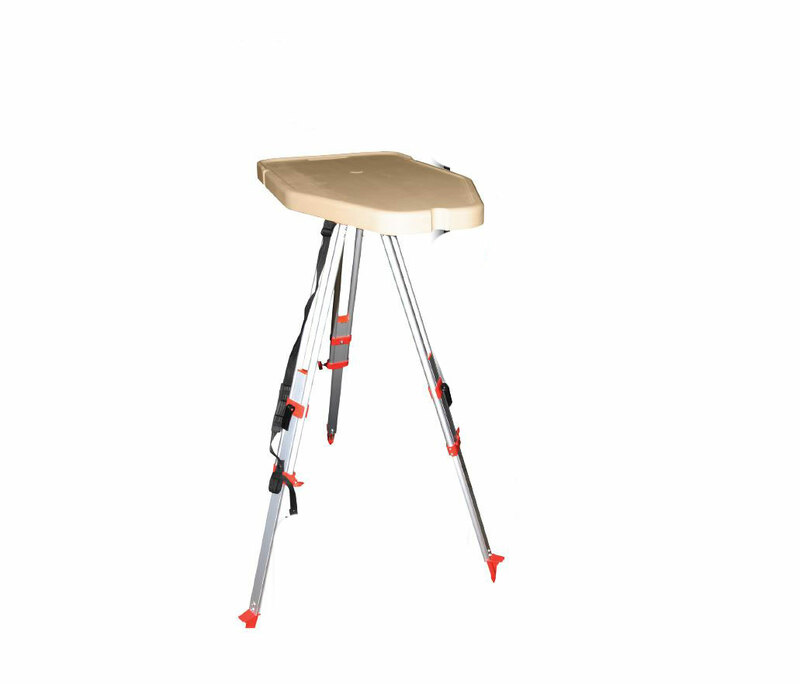 The HighLow Shooting table is a true in the field shooting table. It can be set up where no table could set before. The secret lies in the tripod design which allows it work on uneven ground gravel grass hillsides etc.. Independently adjustable legs lock securely into place via twin locks systems per leg.